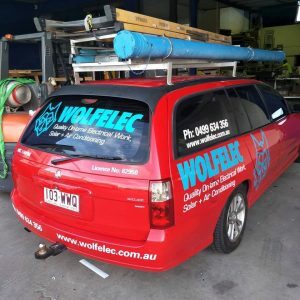 Redcliffe Air Conditioning: Wolfelec is grateful for the support of the Redcliffe community. To give back to the community, we are offering a 10% discount on labour costs to all current and ex-members of the armed forces. We believe in ongoing support for the large veteran community in Brisbane and are grateful for their service and commitment. To more resources on discounts available to veterans see the department of veteran affairs website. Wolfelec offers Redcliffe residents some of the best air conditioning installation prices that you can find throughout Brisbane. We take great pride in our excellent customer service and high satisfaction rate. No matter the size of the job we believe we can offer you the best prices around. Michael Wolfel has over 10 years experience in the electrical industry including domestic, industrial and commercial electrical work. Michael is a long time local of the Redcliffe peninsula and has developed a strong presence in the community by offering affordable prices and excellent service in order to grow through word of mouth and customer recommendations. 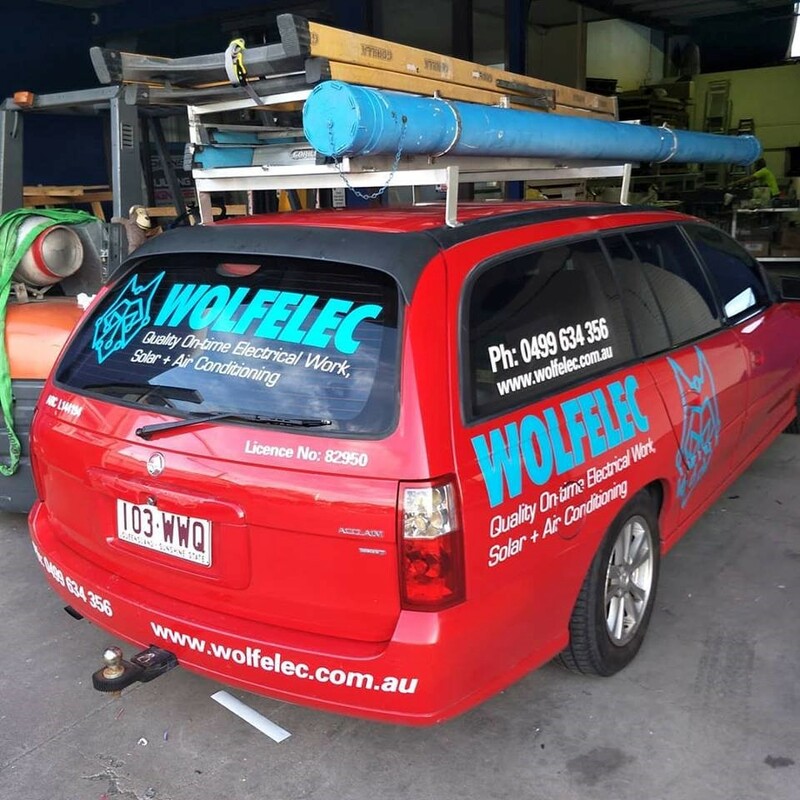 Having grown up in Redcliffe and lived through the scorching summers, Wolfelec knows that not everyone can afford the prices going around for air conditioning- and neither should they have to. As a family-owned business, we have a lot of lower overheads. When you get a quote and installation you get Michael, our owner – not a staff member on wage. Equal Temperature Distribution. Traditional heating methods can create ‘cold spots’ and fans can be cancelled out by something as simple as another persons body heat- not great for a family movie in summer. Self Regulating: A fan or electric heater does not adjust itself with the temperature. Avoid overheating or over-cooling (and over billing). Free Space and Storage: Finding storage space for heaters in summer & fans in winter is not fun. Neither is the dust they accrue. Safety: Overloaded circuits in traditional electric heaters are one of the most common causes of house fires. If you are after the best prices on Redcliffe Air Conditioning installations we would love to hear from you! Redcliff split air conditioner units are perfect for small homes, single rooms, hotel rooms but come in a variety of designs and styles. The most common design is the wall mounted units. These units only have two parts to install and work great. There is no ductwork to install or vents, it’s a very simple unit but very efficient as well. These little AC units work great for commercial as well as residential applications. When we install a Redcliff AC unit we have design as well as optimum efficiency in mind. We want to install your unit so it will run at it’s best capacity and last a long time. With regular cleanings, the Redcliff AC units last a long time. And, we can always set up a regular maintenance schedule to have your unit or units inspected to ensure they are kept at max efficiency. This is important to the lifespan of the unit. Air conditioners are full of fins, coils, and filters that keep it running efficiently. Over time these things get clogged up with dust and dirt, even in the cleanest of homes. That’s why we recommend a thorough cleaning by a professional. Neglecting the systems can mean a shortened life span, less efficient output and higher energy costs. Let our experts give your air conditioning unit a good cleaning. Between cleans we certainly recommend you vacuum out the filters and ensure it’s wiped down. Replacing a clogged filter can decrease your air conditioner efficiency by 5-10%. We install Redcliff air conditioning units for our clients as well as offer steam cleaning services of split air conditioning units. This will ensure your air inside is clean and safe to breathe. Getting your AC unit cleaned often is important as it collects a large amount of dust and grime. That’s why we offer a steam cleaning service that will make your air cleaner and your unit more efficient. Our guys are from the Redcliffe area and understand it can get hot here. Keeping your air conditioner clean and working efficiently can ensure you have an enjoyable place to escape the heat. Keep your home, office or apartment cooler and more comfortable with a Redcliff Air Conditioner. We know that it can be quite hot and humid here in the Redcliffe-North Lakes area, so why be miserable? Get yourself a reliable AC unit and live more comfortably. Sleeping in miserably hot temperatures is nearly impossible and that’s why we offer efficient and economical air conditioning installation. We want our community to be comfortable during the ridiculous heat. We are happy to install as well as maintain your Redcliff air conditioning unit. And, we work with individuals as well as general contractors. If you have a large commercial project such as a hotel or office building, we can help. There is no job too big or too small for us. And, we will do the job right, the first time.